The pearl is the oldest known gem. For many centuries, it was considered the most valuable of all gems. But unlike other gems--which are minerals---pearls are organic, derived from oysters, clams and mussels. So much history accompanies this stone that five months claim it as a birthstone - February, April, June (traditional), July and November. Early cultures believed that a pearl was born when a single drop of rain fell from the heavens and became the heart of the oyster. Pearls have been called the 'teardrops of the moon'. Some believed that pearls were formed by the passage of angels through the clouds of heaven. Over time, the pearl has become the symbol of purity and innocence, and pearls are often sewn into bridal gowns, or worn as jewelry by the bride. Pearls are created when an oyster covers a foreign object, such as a grain of sand, with beautiful layers of nacre. Long ago, it would take a search of thousands of oysters to find one pearl---so rare because they were created by chance. Today, pearls are "cultured" by man. Shell beads are inserted into the oyster and returned to the water, where layers of nacre cover this foreign object. 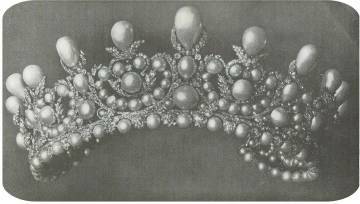 Most cultured pearls are produced in Japan. 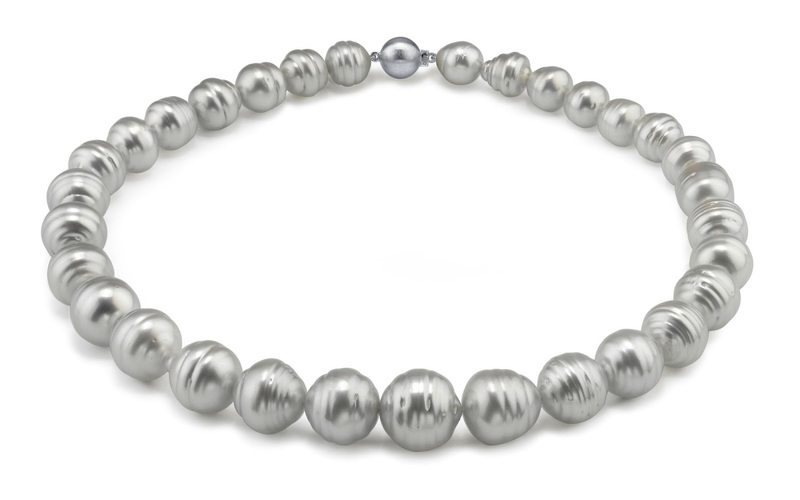 In the South Pacific, larger oysters produce South Sea cultured pearls and Tahitian black cultured pearls, which are larger in size. Freshwater pearls are cultured mostly in China, in mussels. The quality of pearls is judged by the "orient"---the soft iridescence caused by the refraction of light by the layers of nacre, and "luster"---the reflectivity and shine of the surface. 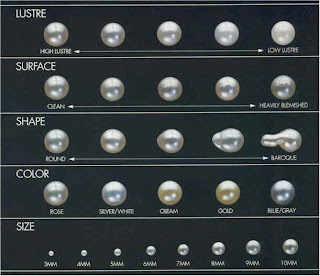 Fine pearls have no flaws or spots in the nacre and are even and smooth. Other factors which affect value are the regularity of the shape, size,and color---white with "rose" tints are the most popular. 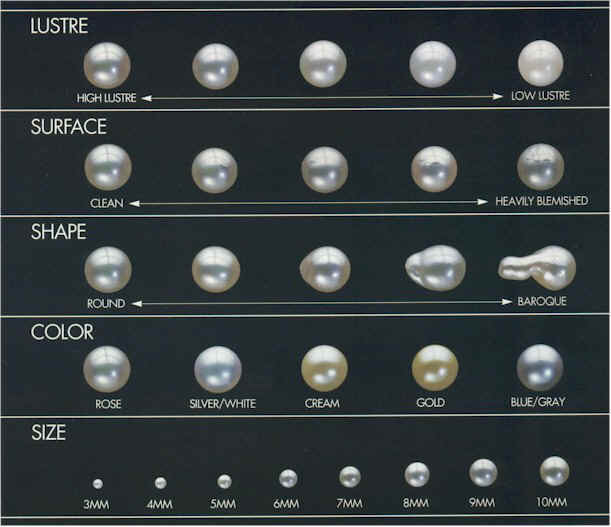 In fact, like diamonds and the "four Cs", pearls are graded by the "5 S's": Shine, Surface, Shape, Shade, and Size. Biwa Pearls: Pearls formed in Biwa Lake, Japan. Irregular shaped. Are formed when a square mother of pearl bead is inserted inside a freshwater clam. Ringed or Circle Pearls: As the pearl turns inside the mollusk as it is form, little rings form around the pearl. A pearl that has one or more parallel grooves etched around its circumference is called a 'circle' pearl. All shapes can be classified as circle pearls if these rings or grooves are present. Found often on Tahitian pearls.